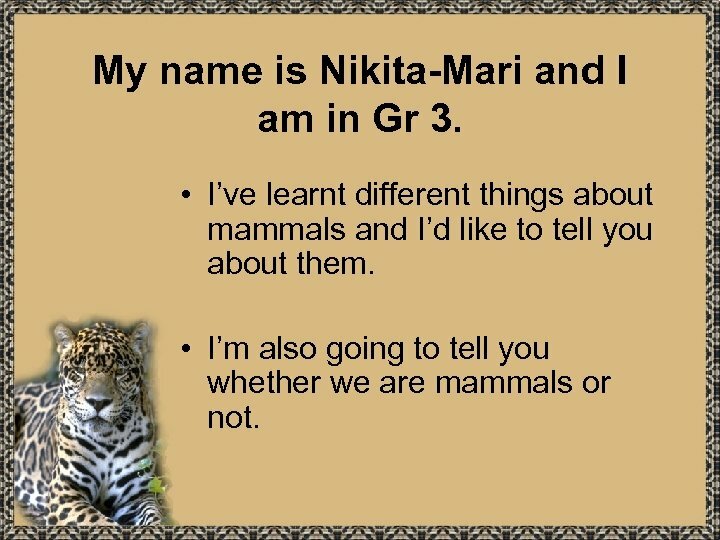 My name is Nikita-Mari and I am in Gr 3. 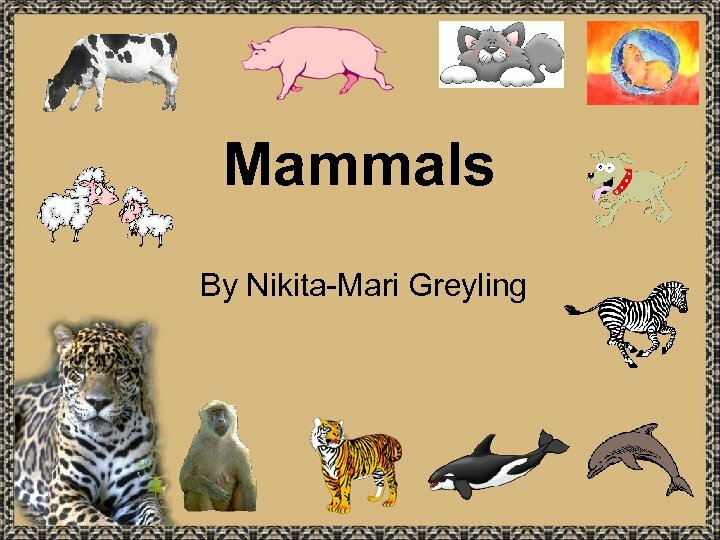 • I’ve learnt different things about mammals and I’d like to tell you about them. • I’m also going to tell you whether we are mammals or not. 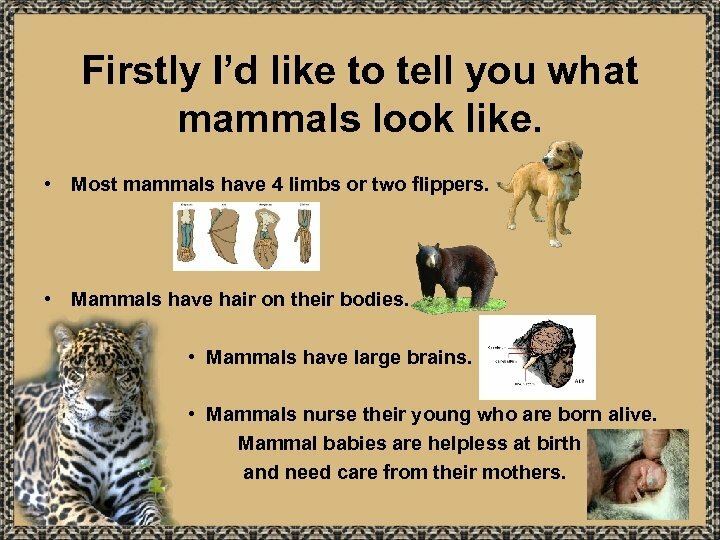 Firstly I’d like to tell you what mammals look like. • Most mammals have 4 limbs or two flippers. • Mammals have hair on their bodies. 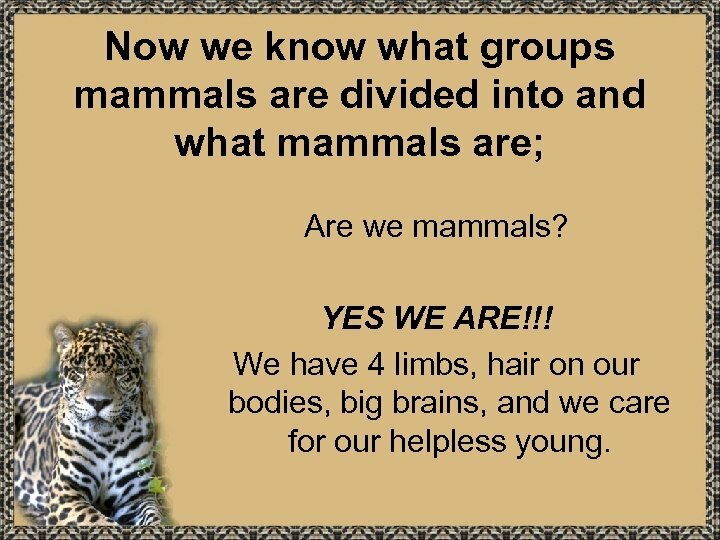 • Mammals have large brains. • Mammals nurse their young who are born alive. Mammal babies are helpless at birth and need care from their mothers. 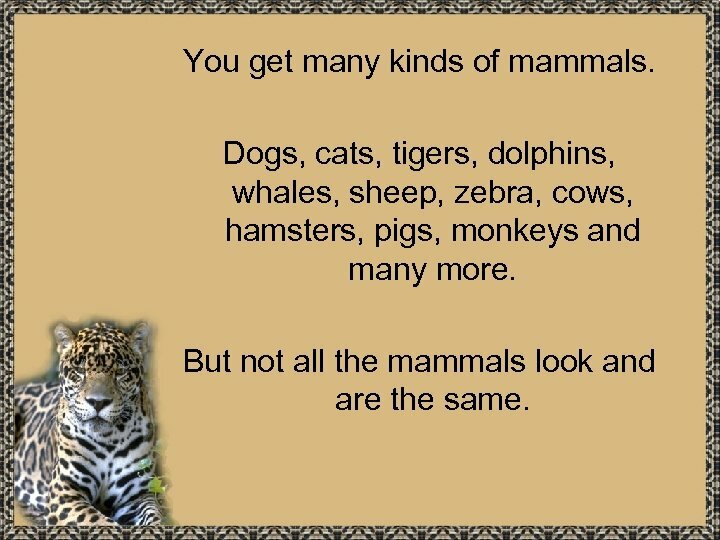 You get many kinds of mammals. Dogs, cats, tigers, dolphins, whales, sheep, zebra, cows, hamsters, pigs, monkeys and many more. 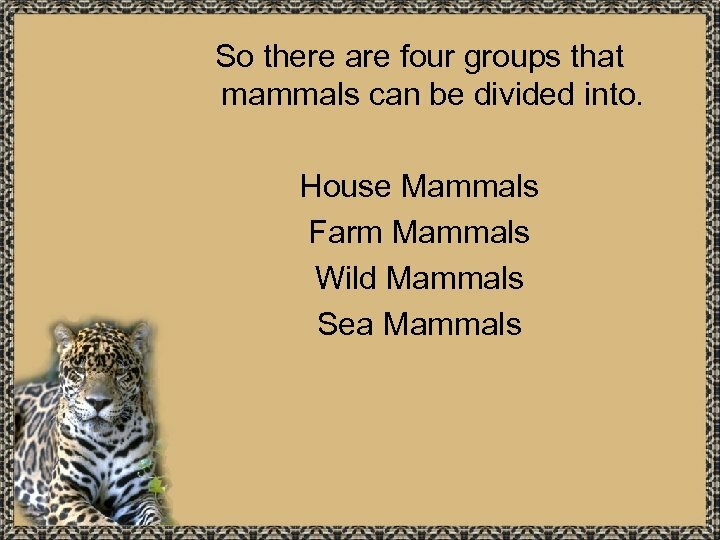 But not all the mammals look and are the same. 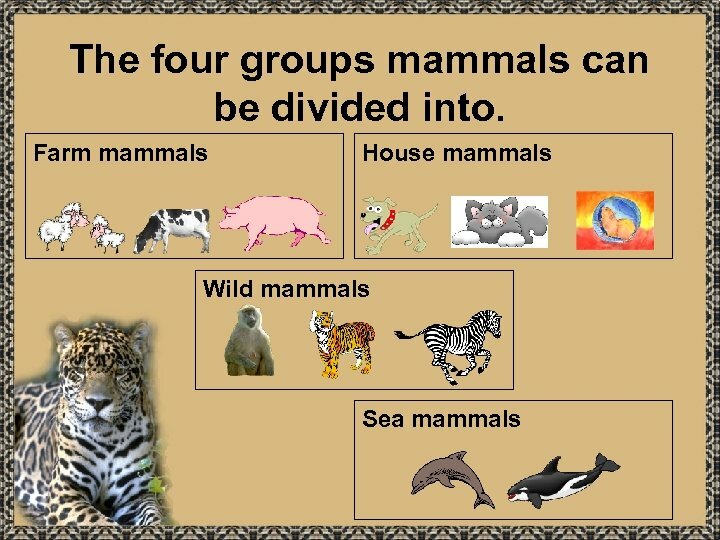 Mammals can be divided into groups. 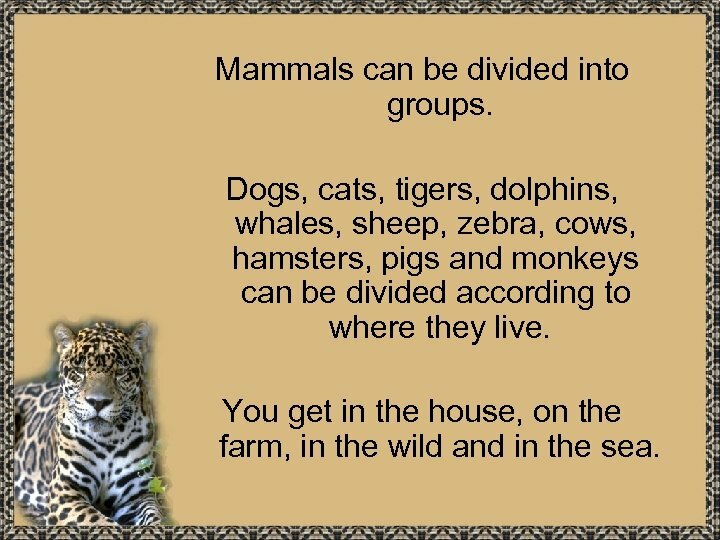 Dogs, cats, tigers, dolphins, whales, sheep, zebra, cows, hamsters, pigs and monkeys can be divided according to where they live. You get in the house, on the farm, in the wild and in the sea. 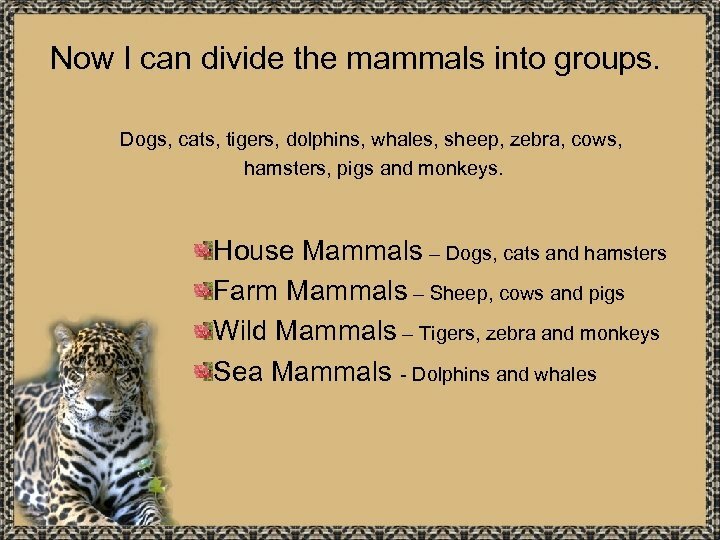 Now we know what groups mammals are divided into and what mammals are; Are we mammals? YES WE ARE!!! We have 4 limbs, hair on our bodies, big brains, and we care for our helpless young. 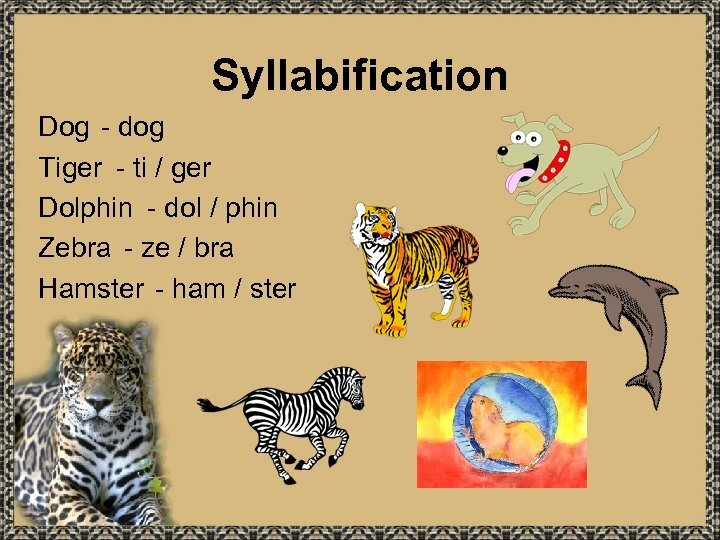 Now that we know we are mammals I’ll be doing syllabification next. 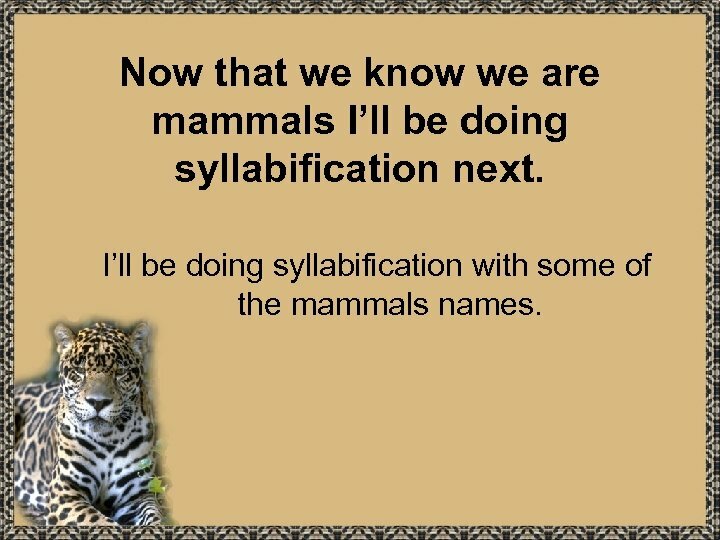 I’ll be doing syllabification with some of the mammals names. Where did I get my information from? My pictures are from Printmaster. 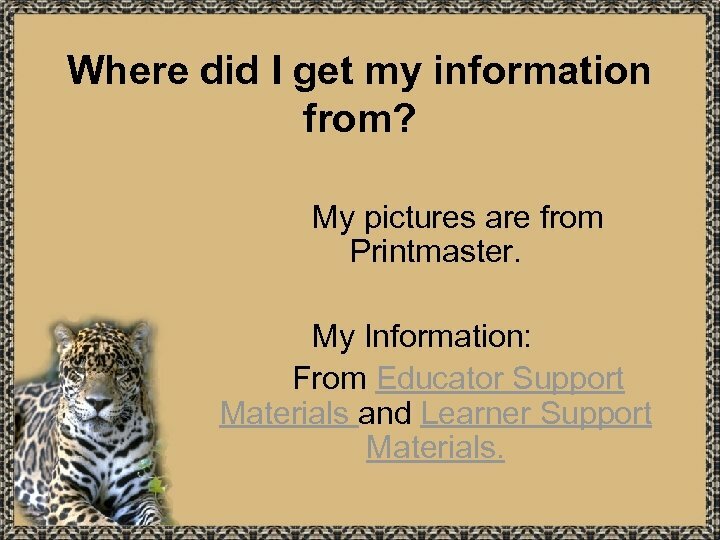 My Information: From Educator Support Materials and Learner Support Materials.